As discussed here previously, the 405 was Peugeot’s final gasp attempt at remaining in the North American market. Even the less observant among us will know that Peugeot North America kicked the bucket here in 1992, though there are still not-uncommon sightings of Peugeots, and rumors that of plans to return to the continent. However, it doesn’t seem that there is the active fan base enjoyed by other departed brands (such as Alfa Romeo), so it doesn’t provoke as much of a racket each time those rumors surface. 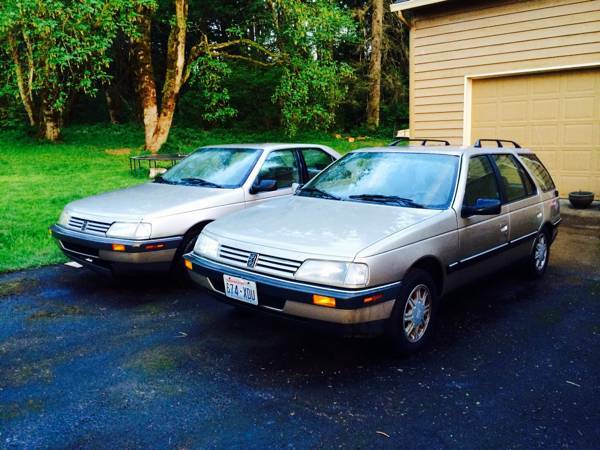 All that said, the 405 was one of their last Pininfarina styled cars, and there’s an opportunity out there for you to have two versions of one of the better-looking early 1990s family cars out there – check out this 1990 Peugeot 405 wagon and 1991 Peugeot 405 sedan for sale for $1600 for the pair in Washougal, WA. 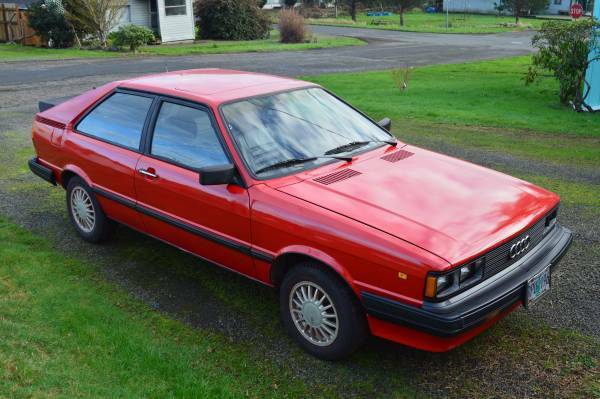 It’s pretty unusual with som eof the oddball cars featured here that you can have anythin gclose to the choice that you could get at the dealer’s 30 years ago. But in this special feature, you get the choice – 2 or 4 driven wheels? 2 or 4 doors? What you have to put up with is the semi-famous Audi 5 cylinder with a 5-speed manual transmission, but that shouldn’t be too much of a burden. 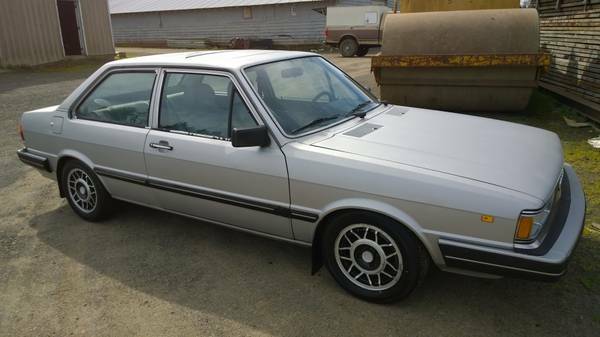 To get things started, check out this 1981 Audi 4000 5+5 for sale for $2500 in Oregon City, OR.